It’s here! Celebrate Kansas Craft Beer Week with Augustino Brewing! Here’s what we’ve got going on! 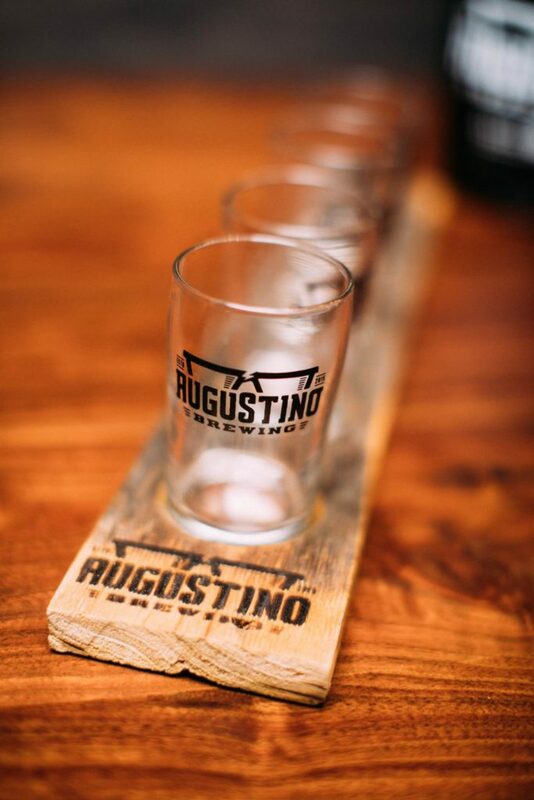 ALL WEEK: Join the Augustino Brewing Mug Club when visiting (any level) and get a free pint glass (while supplies last). Download our app at https://augustinobrew.com/iOS/ or https://augustinobrew.com/Android/ to get started and view ourÂ current menu and beer list! Tuesday 4/17 beginning @ 3pm – Hatchet Handed (Bitter) Amber – Hoppy amber beer to tip our hat at the failed efforts of the temperance movement. Cheers to great beers! Wednesday 4/18 beginning @ Noon – Augustino Brewing Ribbon Cutting with Wichita Chamber. Beer discounts & giveaways. We’ll also be tapping our Old Speckled One ESB! Thursday 4/19 beginning @ 3pm – Brussels Midi Tripel – A potent and malty Belgian-style tripel. Friday 4/20 beginning @ 3pm – You’re So Rauchbier – A smoked German MÃ¤rzen lager.